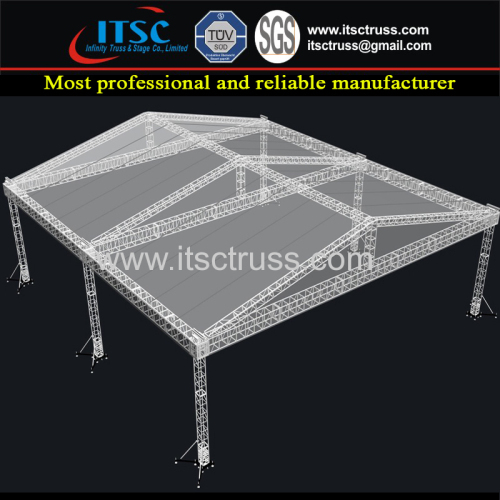 ITSC-PR201807M is based on the common structure. But it is with constructed with the heavy duty trusses sections 520x760mm Quatro Trussing and pillars 400x400mm Quatro Trussing, as well as the special accessories with the 2 ton motor hoist as lifting. 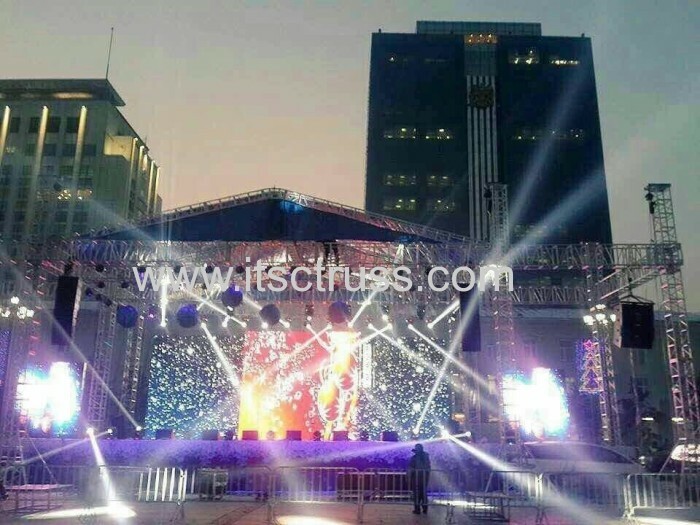 It is giving great strength and low deflection rates on large spans with heavy duty.And the whole system is suitable for haning heavy Line arrays, plasma LED screen, a lot of big stage lighting,projectors,ect. 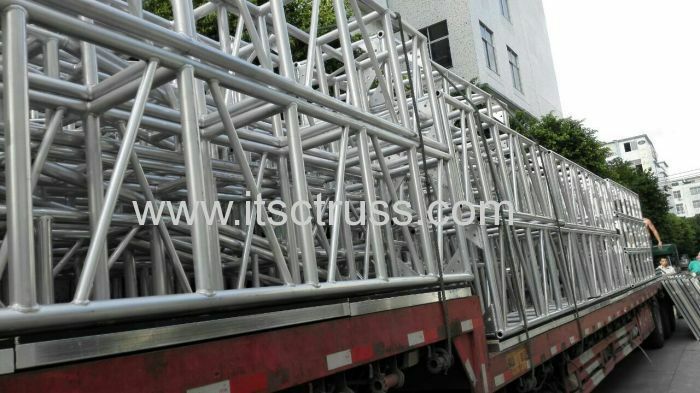 Aluminum alloy 6061-T6 for the trusses sectios,ready to make. 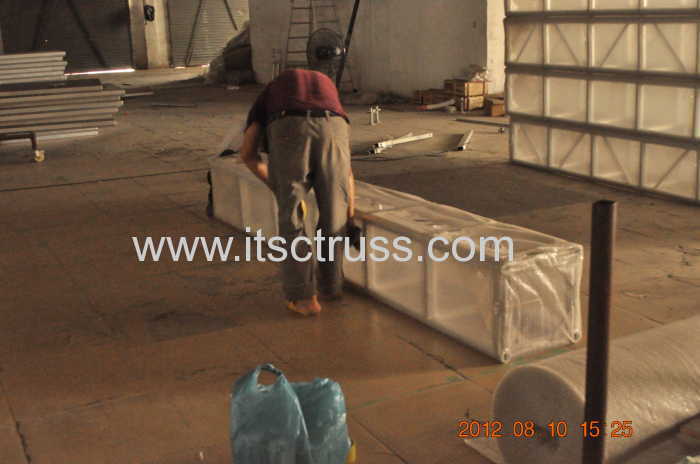 Master workers are weilding the trusses sections. 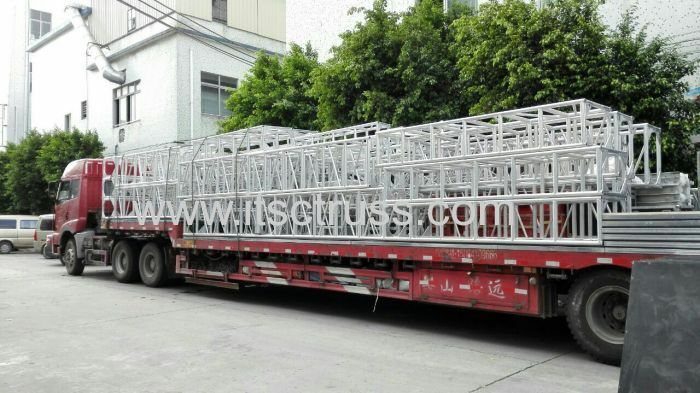 All the trusses are packed before delivery. 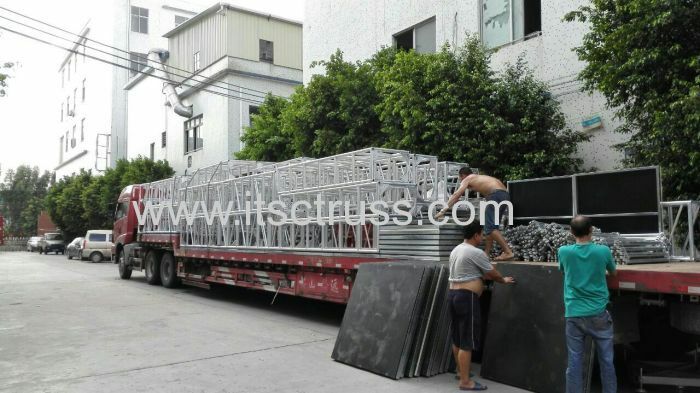 All the trusses and stages are ready and on cargoing to Beijing then to Mogolia.Our team are now unloading all the items to the trucks. It takes workers the whole day to unloading, now it is noon, and workers take a rest first. 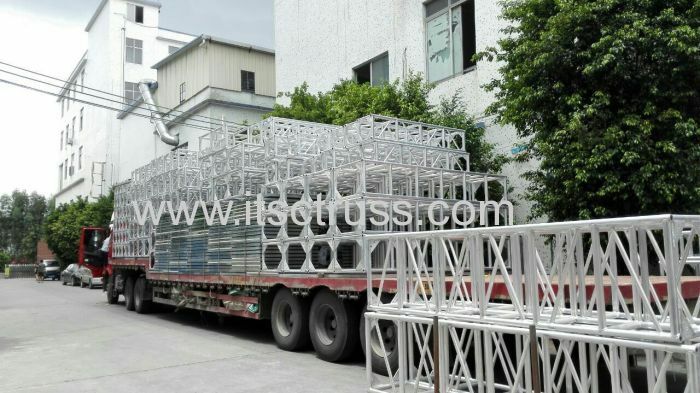 One cargo is finished unloading and need to unload another truck. 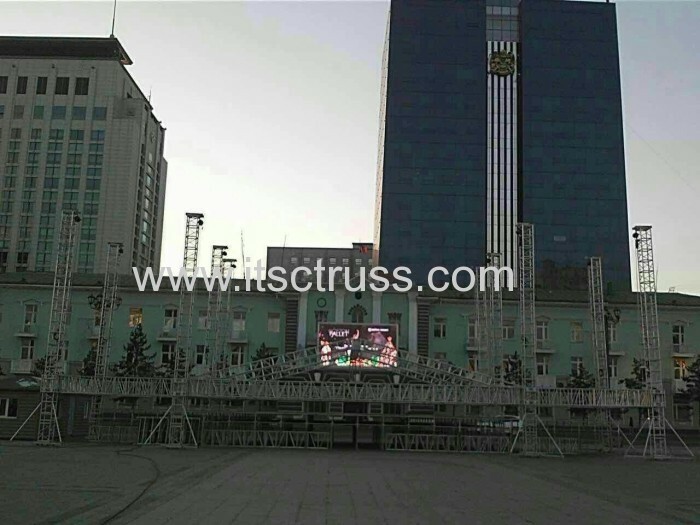 It takes only 2-3 days to reach to Beijing, then our client there arrange the cargo to Mongolia again. 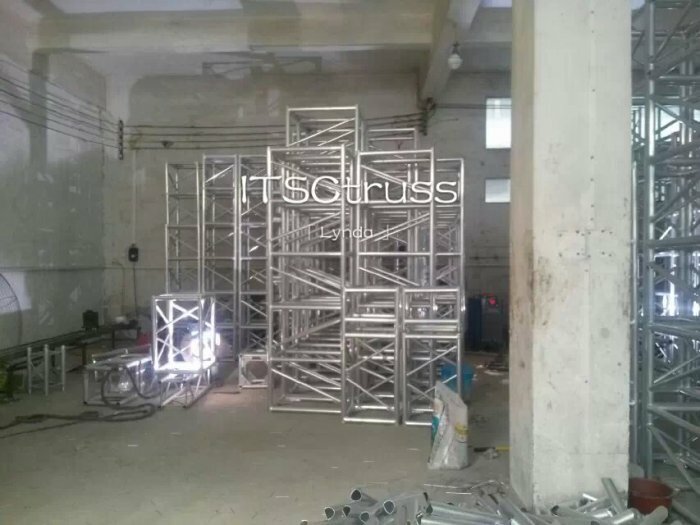 All the trusses are being installed by our clients in Mongolia for outdoor events. The whole giant roof system is working perfect in that big event.